BEIRUT, Jul 19 2014 (IPS) - Gaunt, haggard Syrian children begging and selling gum have become a fixture in streets of the Lebanese capital; having fled the ongoing conflict, they continue to be stalked by its effects. Most who make it across the Syria-Lebanon border live in informal settlements in extremely poor hygienic conditions, which for many means diarrhoeal diseases, malnutrition, and – for the most vulnerable – sometimes death. By the end of January, almost 40,000 Syrian children had been born as refugees, while the total number of minors who had fled abroad quadrupled to over 1.2 million between March 2013 and March 2014. Lack of proper healthcare, food and clean water has resulted in countless loss of life during the Syrian conflict, now well into its fourth year. These deaths are left out of the daily tallies of ‘war casualties’, even as stunted bodies and emaciated faces peer out of photos from areas under siege. The case of the Yarmouk Palestinian camp on the outskirts of Damascus momentarily grabbed the international community’s attention earlier this year, when Amnesty International released a report detailing the deaths of nearly 200 people under a government siege. Many other areas have experienced and continue to suffer the same fate, out of the public spotlight. A Palestinian-Syrian originally from Yarmouk who has escaped abroad told IPS that some of her family are still in Hajar Al-Aswad, an area near Damascus with a population of roughly 600,000 prior to the conflict. She said that those trapped in the area were suffering ‘’as badly if not worse than in Yarmouk’’ and had been subjected to equally brutal starvation tactics. The area has, however, failed to garner similar attention. The city of Homs, one of the first to rise up against President Bashar Al-Assad’s regime, was also kept under regime siege for three years until May of this year, when Syrian troops and foreign Hezbollah fighters took control. With the Syria conflict well into its fourth year, the U.N. Security Council decided for the first time on July 14 to authorize cross-border aid without the Assad government’s approval via four border crossings in neighbouring states. The resolution established a monitoring mechanism for a 180-day period for loading aid convoys in Turkey, Iraq and Jordan. The first supplies will include water sanitation tablets and hygiene kits, essential to preventing the water-borne diseases responsible for diarrhoea – which, in turn, produces severe states of malnutrition. Miram Azar, from UNICEF’s Beirut office, told IPS that ‘’prior to the Syria crisis, malnutrition was not common in Lebanon or Syria, so UNICEF and other actors have had to educate public health providers on the detection, monitoring and treatment’’ even before beginning to deal with the issue itself. Malnutrition experienced in the first 1,000 days of a child’s life (from pregnancy to two years old) results in lifelong consequences, including greater susceptibility to illness, obesity, reduced cognitive abilities and lower development potential of the nation they live in. The Syrian economy has been crippled by the conflict and crop production has fallen drastically. Violence has destroyed farms, razed fields and displaced farmers. The price of basic foodstuffs has become prohibitive in many areas. On a visit to rebel-held areas in the northern Idlib province autumn of 2013, residents told IPS that the cost of staples such as rice and bread had risen by more than ten times their cost prior to the conflict, and in other areas inflation was worse. Jihad Yazigi , an expert on the Syrian economy, argued in a European Council on Foreign Affairs (ECFR) policy brief published earlier this year that the war economy, which ‘’both feeds directly off the violence and incentivises continued fighting’’, was becoming ever more entrenched. Meanwhile, political prisoners who have been released as a result of amnesties tell stories of severe water and food deprivation within jails. Many were detained on the basis of peaceful activities, including exercising their right to freedom of expression and providing humanitarian aid, on the basis of a counterterrorism law adopted by the government in July 2012. There are no accurate figures available for Syria’s prison population. However, the monitoring group, Violations Documentation Centre, reports that 40,853 people detained since the start of the uprising in March 2011 remain in jail. Maher Esber, a former political prisoner who was in one of Syria’s most notorious jails between 2006 and 2011 and is now an activist living in the Lebanese capital, told IPS that it was normal for taps to be turned on for only 10 minutes per day for drinking and hygiene purposes in the detention facilities. Much of the country’s water supply has also been damaged or destroyed over the past years, with knock-on effects on infectious diseases and malnutrition. 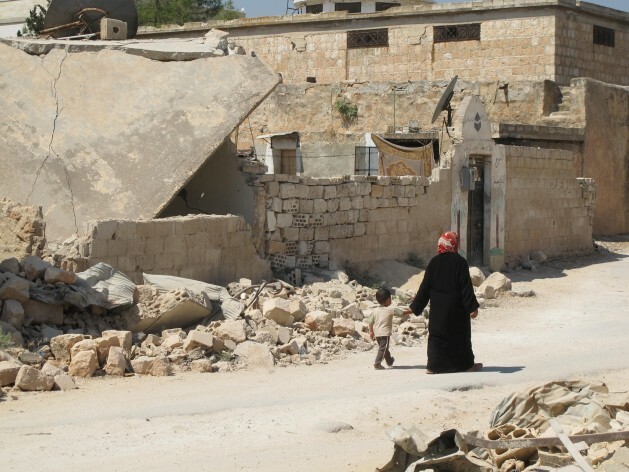 A major pumping station in Aleppo was damaged on May 10, leaving roughly half what was previously Syria’s most populated city without running water. Relentless regime barrel bombing has made it impossible to fix the mains, and experts have warned of a potential humanitarian catastrophe for those still inside the city. The U.N. decision earlier this month was made subsequent to refusal by the Syrian regime to comply with a February resolution demanding rapid, safe, and unhindered access, and the Syrian regime had warned that it considered non-authorised aid deliveries into rebel-held areas as an attack.